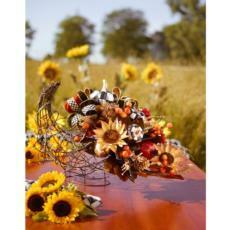 Glassworks offers modern and classic gifts for every occasion, with emphasis on tabletop items. Cheeks is a lingerie & sleepwear boutique located on the 2nd floor of Glassworks. 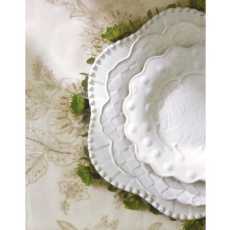 Call for info on starting a Wedding Registry or Corporate Gifts order. 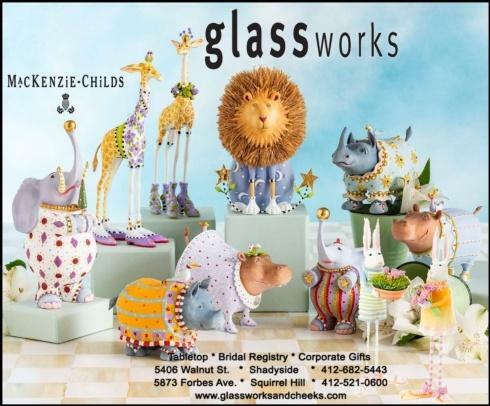 MacKenzie-Childs Patience Brewster Jambo Animal Collection & Easter Bunnies At Glassworks! Go wild for Jambo! 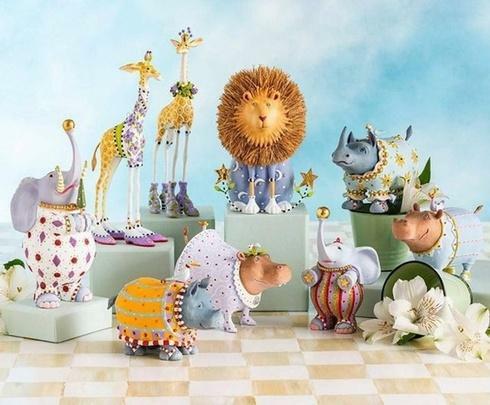 Patience Brewster by MacKenzie-Childs Jambo Collection takes a walk on the wild but whimsical side with charming and colorful African animals that include elephants, lions, giraffes, rhinos, hippos, and Easter bunnies. Stop by either store location and see the cuteness!! Glassworks and Cheeks offer free gift wrapping! Go wild for Jambo! Patience Brewster by MacKenzie-Childs Jambo Collection takes a walk on the wild but whimsical side with charming and colorful African animals that include elephants, lions, giraffes, rhinos, hippos, and more. Available at Glassworks! Patience Brewster Christmas Figurines At Glassworks! The Dash Away Collection, inspired by the classic "'Twas the Night Before Christmas", from Patience Brewster by MacKenzie-Childs is available at Glassworks! 🎄 This holiday collection features Santa’s eight reindeer ready to take flight around the world, their dedicated elves, Santa, Mrs. Claus, and the Sleigh. Stop in at the Shadyside store to see the entire collection. 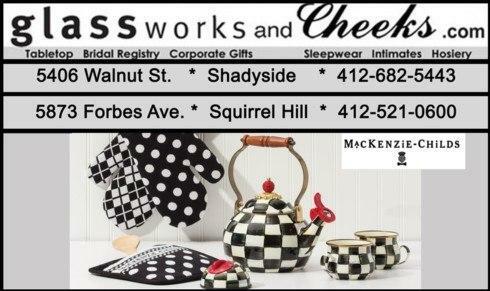 Free Gift Set With MacKenzie-Childs Purchase At Glassworks! 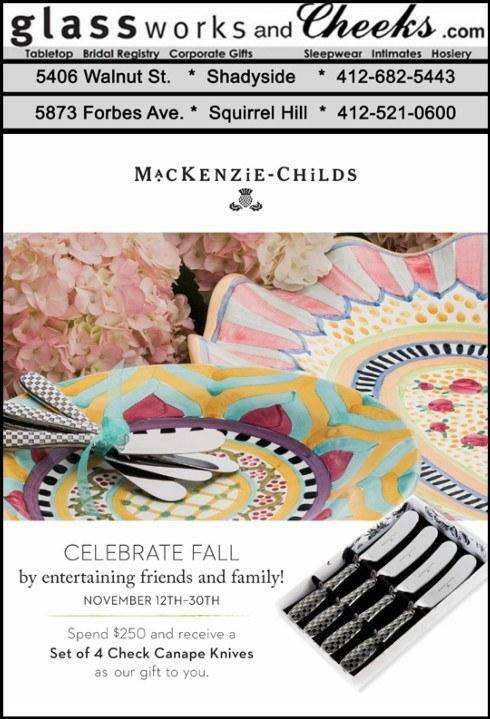 Celebrate Fall with friends and family and MacKenzie-Childs! From the 12th to 30th of November, purchase $250.00 worth of MacKenzie-Childs at Glassworks and receive a free gift set of 4 Check Canape Knives (a $58 value). Offer is good at both store locations, as well as our website. If ordering online, please email or call us to secure your free gift set. 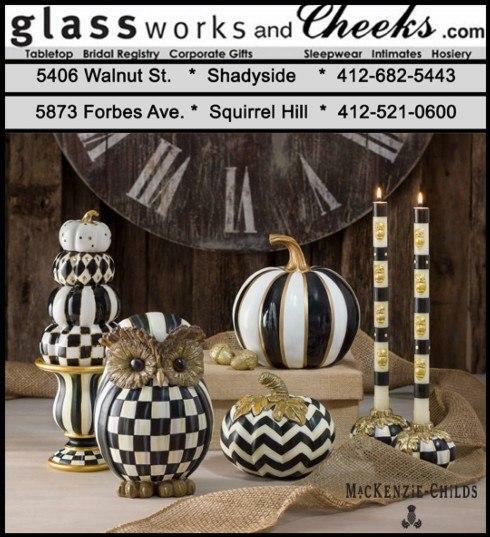 New MacKenzie-Childs Fall Decor At Glassworks! Harvest an entire season of autumn elegance with touches of checks, dots, and stripes that are uniquely yours. Start adding MacKenzie-Childs accents to your home by stopping at Glassworks or shopping on this website. 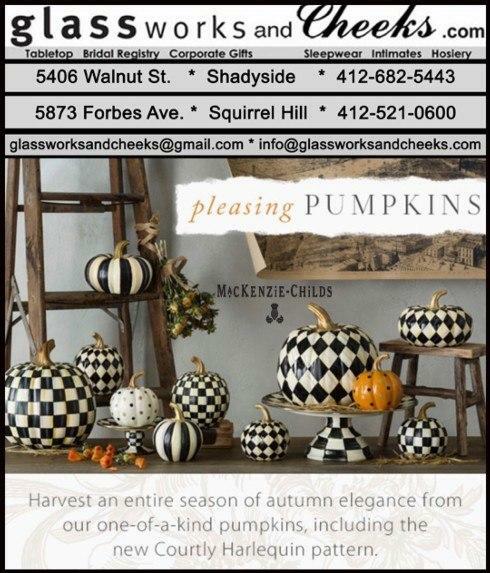 MacKenzie-Childs' Pleasing Pumpkins At Glassworks! Harvest some style from our store's extraordinary pumpkin patch. MacKenzie-Childs' playful patterns invite you to mix and match, creating a presentation of checks, dots, and stripes that’s uniquely yours. Come to either Glassworks' location to see the selection! 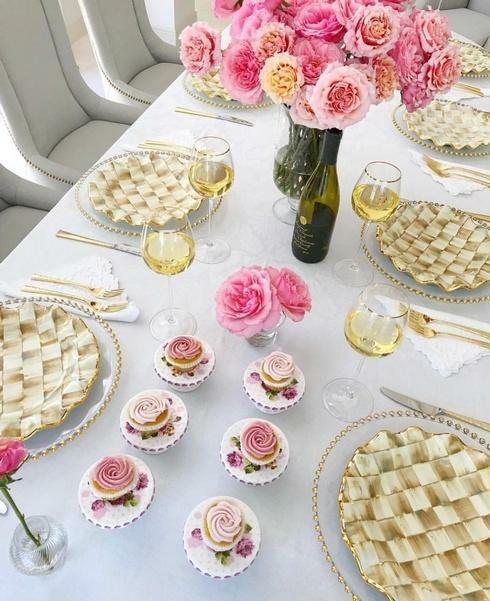 Make sure your dining room table looks petty like this MacKenzie-Childs display! 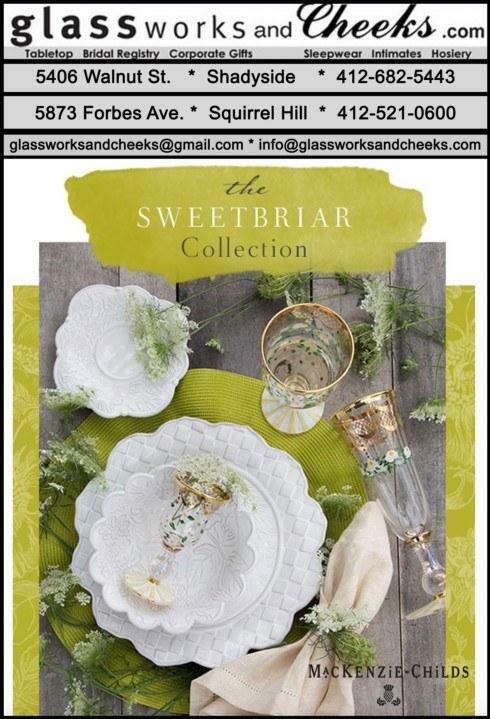 Come to Glassworks and pick out your perfect setting! 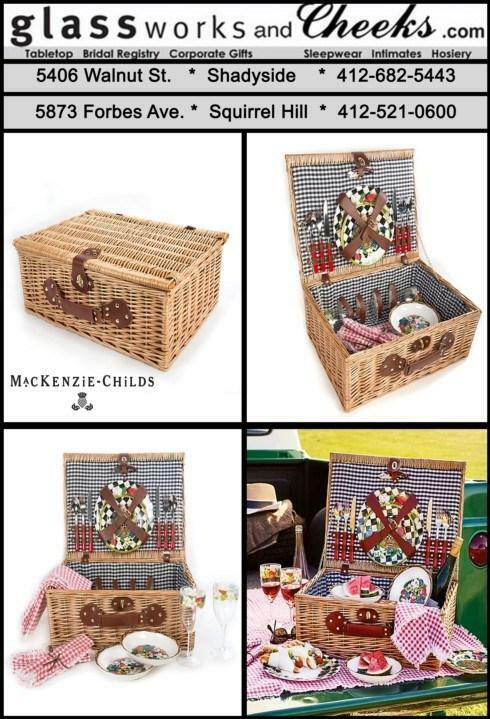 MacKenzie-Childs Picnic Hamper At Glassworks! The best gift you can give yourself or someone you love? Unplugging for an afternoon and reconnecting, whether it’s under the shade of an old oak or on the living room floor. This handsome, leather trimmed wicker basket is packed with a wine opener and a pair of dinner plates, salad plates, cutlery, napkins, and wine glasses. Just the ticket for father-daughter/son bonding time or an impromptu dinner date. Get your MacKenzie-Childs Berries & Blossoms Picnic Hamper for Two at Glassworks for $295.00 (free shipping from our website). 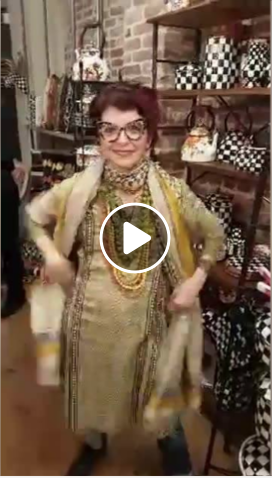 MacKenzie-Childs went live a few days ago. Check out the video recording that offers hints about decorating and product use. Get yours at Glassworks! Stop in at the stores to check out our selection. We can also special order anything we don't have, including furniture. Happy Mother's Day From Glassworks And Cheeks! For all you children, Glassworks has plenty of last minute gift ideas. 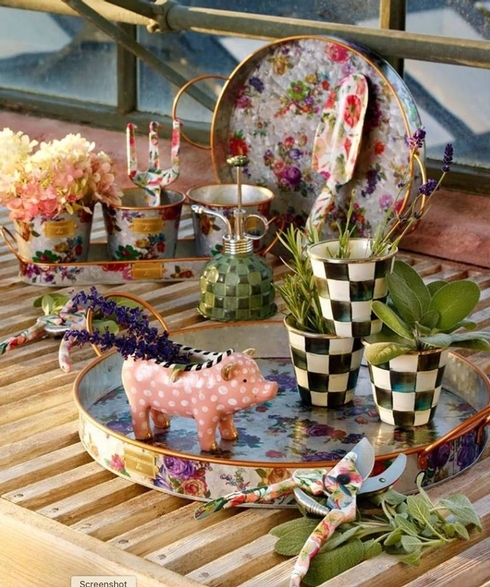 Pictured are pieces from the new Sweet Briar Collection by MacKenzie-Childs. Just one of the many patterns and manufacturers that we stock. Spend $250 on MacKenzie-Childs and receive a free Large Flower Market Vase (a $54 value). This offer is good until Mother's Day, May 13th. If ordering online, please email or call us. 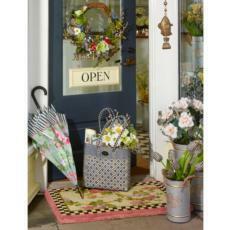 Stop in at either store and see our selection of gifts. Retired MacKenzie-Childs Taylor Patterns Available Now From Glassworks! an older pattern that delights. Call Glassworks at 412-682-5443 for more information. Kittie is unimpressed! 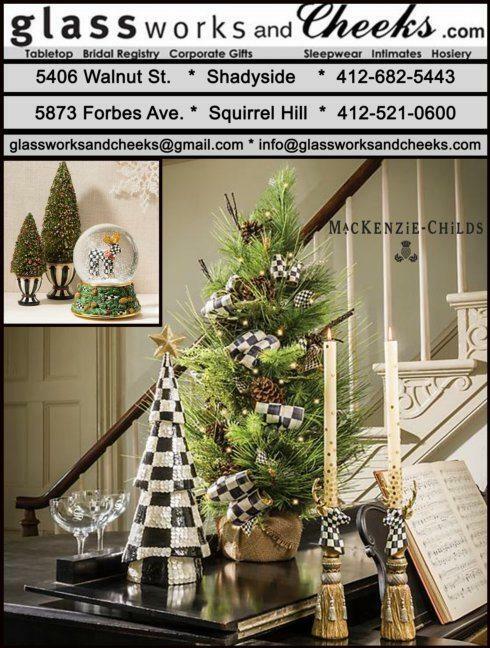 Get your MacKenzie-Childs at Glassworks! 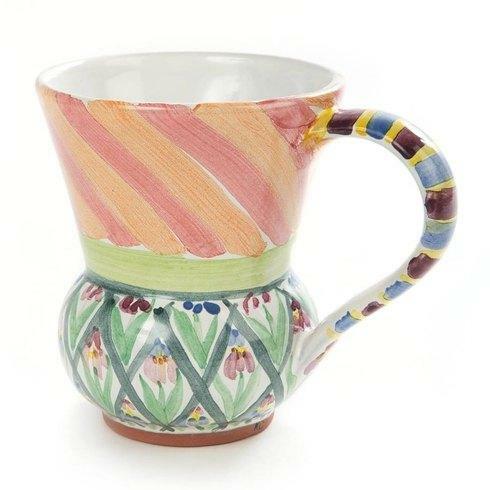 Though MacKenzie-Childs is most known for black and white checked enamelware, they also manufacture colorful ceramics like this mug. Get yours at Glassworks! Happy Valentine's Day! In need of a last minute gift? 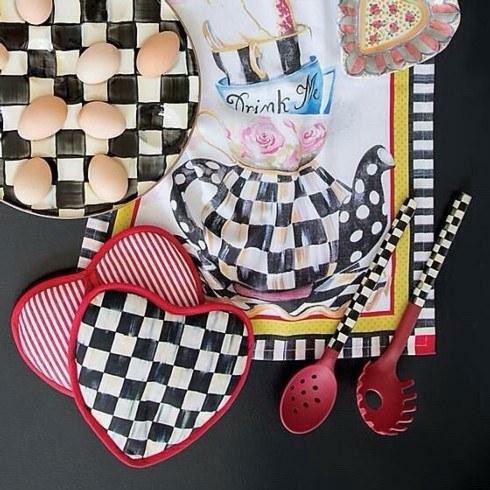 Feel the love with @mackenziechilds' Courtly Check Heart Pot Holder with signature checks and festive red trim. Perfect for the kitchen helper who's near and dear to your heart. 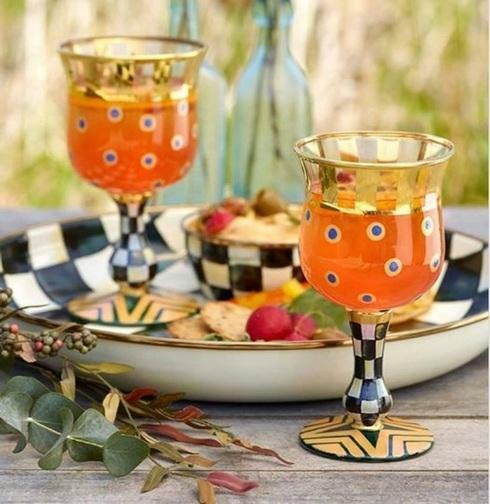 Every party is more fun with mackenziechilds! We're looking forward to using the Tango Martini Glasses that are perfect for sipping the classic cocktail, whether dry, dirty, or with a twist! 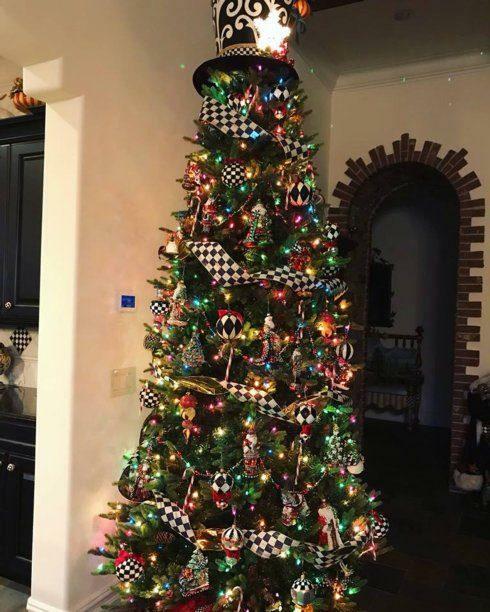 An example of a total MacKenzie-Childs Christmas tree. Get your MC ornaments, ribbons, and more at Glassworks! 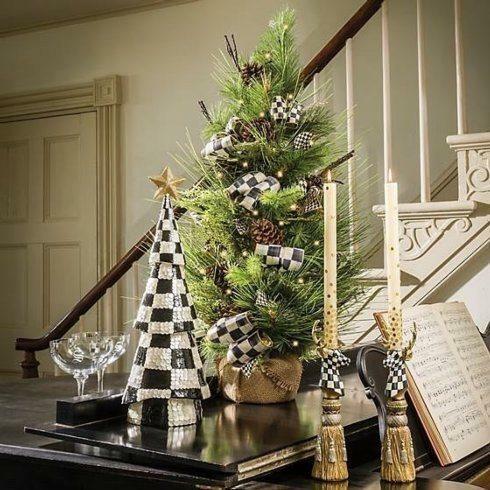 MacKenzie-Childs Tabletop Trees At Glassworks! Glassworks has your tabletop trees, no matter what size you want! The 24" wide, 36" tall Underpinnings Tabletop Tree is the largest choice, with faux evergreen, wound full of Courtly Check ribbon and pinecones from top to bottom. This Tree will last without making a mess, so adorn every mantel or accent table. It feels wintry without being holiday-specific, so you can plan to leave it up long past December. 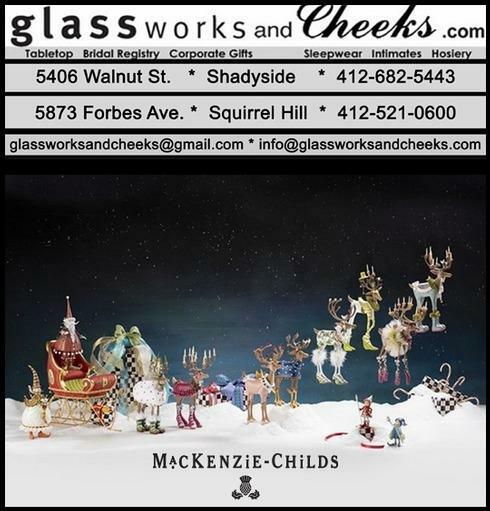 Glassworks is your Pittsburgh resource for all MacKenzie-Childs! It's beginning to look a lot like... a mackenzie childs Christmas! This tabletop tree is such a great find and the perfect gift for any Mackenzie collector! New MacKenzie-Childs Whistling Tea Kettle At Glassworks! 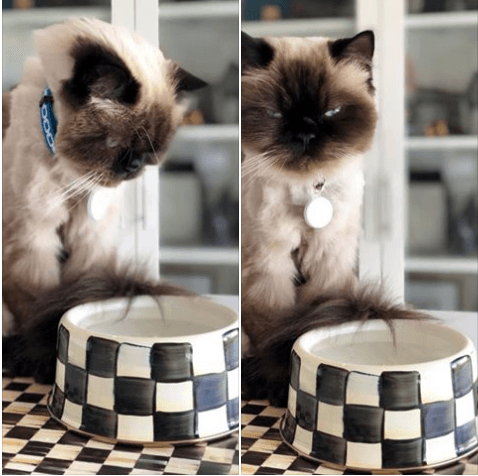 Whistling while it works, the Courtly Check Enamel Whistling Tea Kettle lets you know when your water is ready. Hand-painted with signature black and white checks over a heavy-gauge steel underbody, it serves to beautify your stovetop even when it’s not in use. Also can be placed on display elsewhere, filled with fresh-cut flowers or greens. A perfect gift for seasoned collectors, or a welcome introduction for a friend. 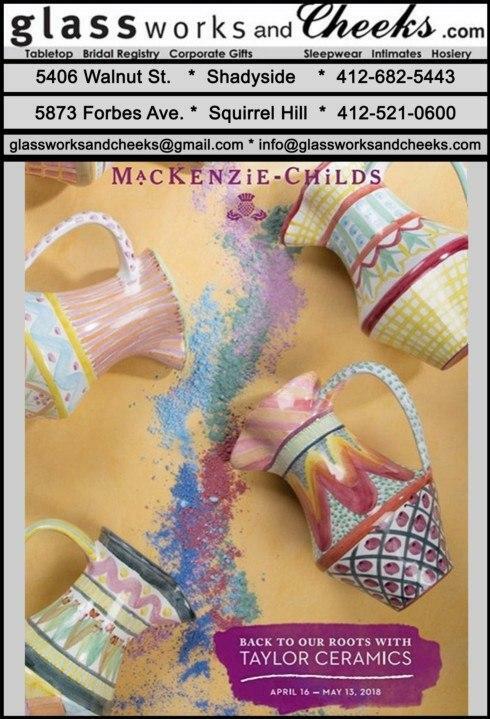 Even if you didn't win the Fall Giveaway, you can still get your MacKenzie-Childs at Glassworks! You don't need to drive to New York to get MacKenzie-Childs on sale. The annual Summer Sale of the Flower Market and Butterfly Garden lines continues through Sunday at Glassworks! 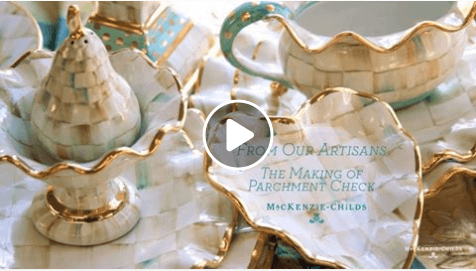 Glassworks has your MacKenzie-Childs! The 25% off sale on Butterfly Garden and Flower Market goes until July 23rd. 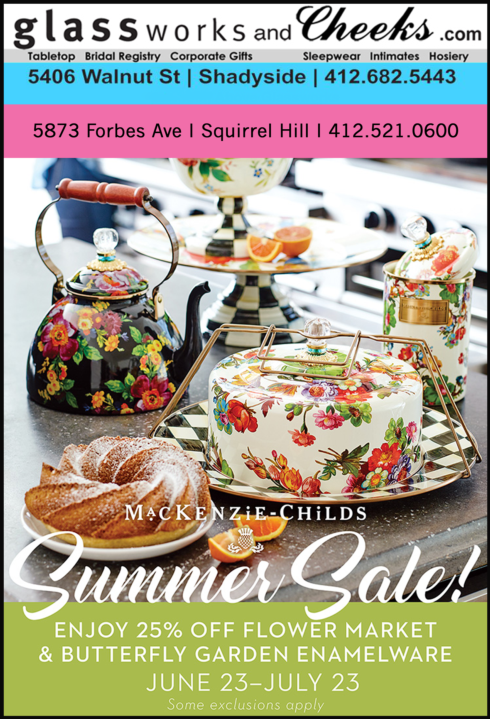 MacKenzie-Childs Flower Market & Butterfly Garden 25% Off At Glassworks! 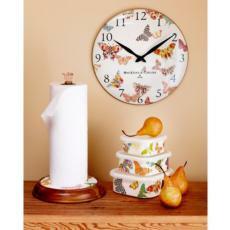 From Friday, June 23rd to Sunday, July 23rd: all MacKenzie-Childs Flower Market and Butterfly Garden items are 25% off! Don't forget Glassworks offers free gift wrapping! 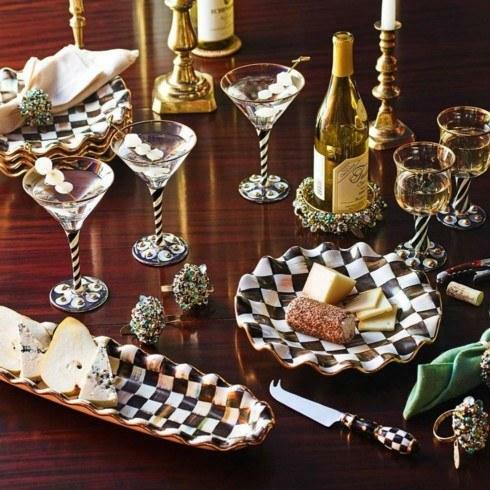 So surprise your favorite MacKenzie-Childs lover with one of these beautiful pieces. 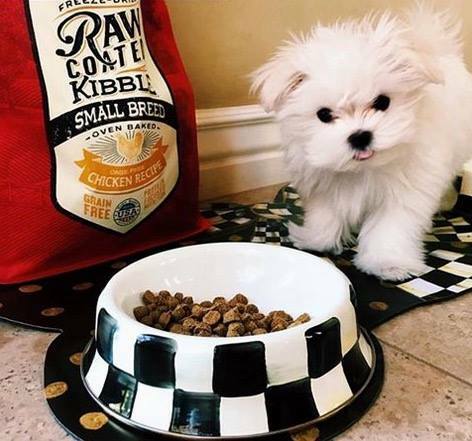 MacKenzie-Childs Pet Dish and Pup Placemat available at Glassworks! Thank you, Glassworks! Cute pup! 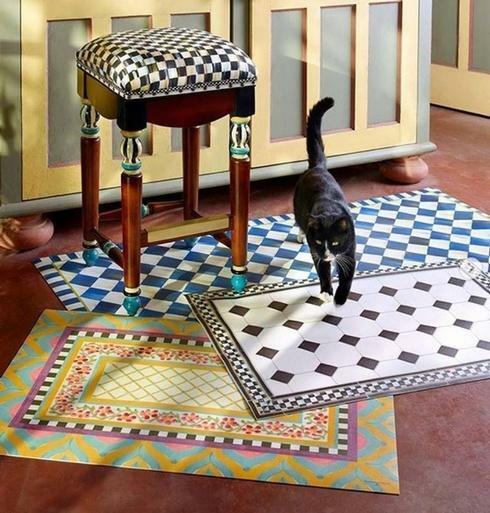 This new set From MacKenzie-Childs has been flying off our shelves! 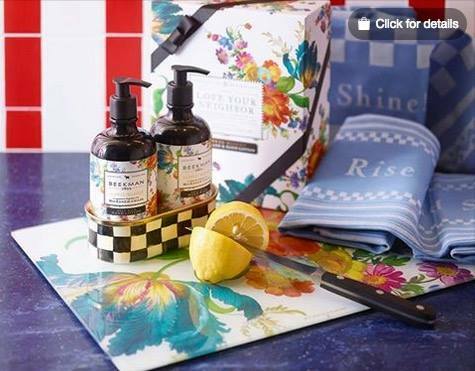 Come in to Glassworks soon to get your own Flower Market Hand Soap & Lotion Set! Thanks Glassworks! Folks, you don't want to miss this exclusive set! We've created a limited quantity, so when we're sold out they're gone! Don't wait!